Use the player above and join us for Ojai Live 2016 to watch live streamed Festival concerts, interviews, and Talks online on your computer, phone, or tablet. 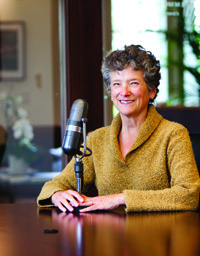 Hosts for this year join us from Classical KUSC and include Executive Producer Gail Eichenthal, host Alan Chapman, and correspondents Craig Curtis and Thomas Kotcheff. Tune in at concert time to view live or use the live stream schedule to catch pre-recorded Festival events. We’re thrilled to share the 2016 Festival Preview with 2016 Music Director Peter Sellars, Artistic Director Thomas W. Morris, and KUSC‘s Gail Eichenthal, produced as part of their Arts Alive series. Use the media player above to listen online or tune in to Arts Alive on Saturdays at 8am. Special thanks to our friends at KUSC, Gail Eichenthal, and Brian Lauritzen. 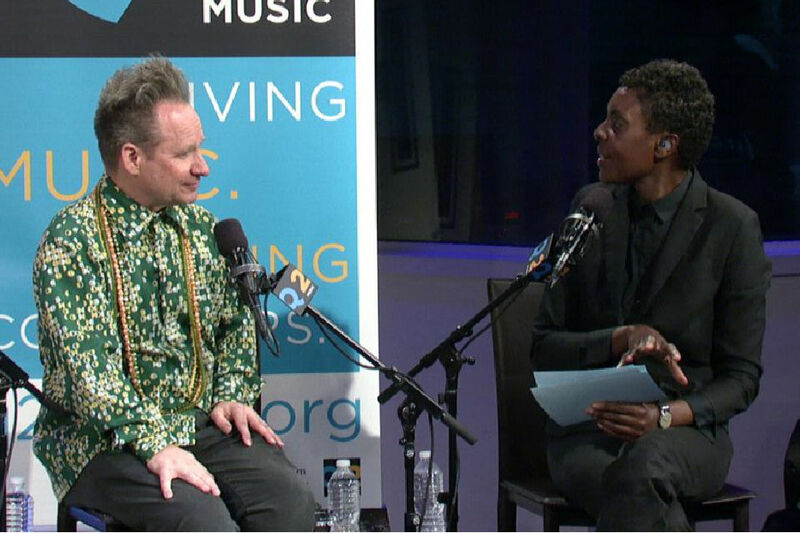 2016 Music Director Peter Sellars joined host Helga Davis in The Greene Space at WQXR on Friday, May 13 for an evening of conversation and performances by select musicians from the 2016 Ojai Music Festival. Performers included New Zealand-born singer-songerwriter Leila Adu, who has composed for So Percussion and Gamelan Padhang; International Contemporary Ensemble (ICE) guitarist Dan Lippel; and the rising soprano and recent Juilliard graduate Julia Bullock. India’s legendary classical vocalist Padma Shri Aruna Sairam, makes her Ojai Music Festival debut on June 11, 2016, at 8pm, during the milestone 70th edition of the world-renowned music festival in Ojai, California. Regarded as the Music Ambassador of India for successfully taking Indian music to the global arena, Aruna Sairam will present a “pure south Indian classical” vocal concert. Joining her will be M Rajeev, violin; Sai Giridhar, mridanjam; Ravi Balasubramaniam, ghatam; and Aamani Mynampati, tempura. “We are thrilled to welcome to Ojai one of the most revered, beloved, surprising, and progressive stars of South Indian music. Aruna Sairam traces her artistic and spiritual lineages from some of the great gurus of the female vocal tradition, both within her own family and across multiple strands of Indian music. This is a woman who lives and moves in many worlds and holds them all magically on the breath. South Indian music is itself a spiritual quest, a philosophical journey, and an evolving state of ecstasy, rapture, and atonement. Aruna Sairam is one of the masters whose long, sinuous vocal line delineates a past that rises spontaneously in her breath as the future,” said 2016 Music Director Peter Sellars. 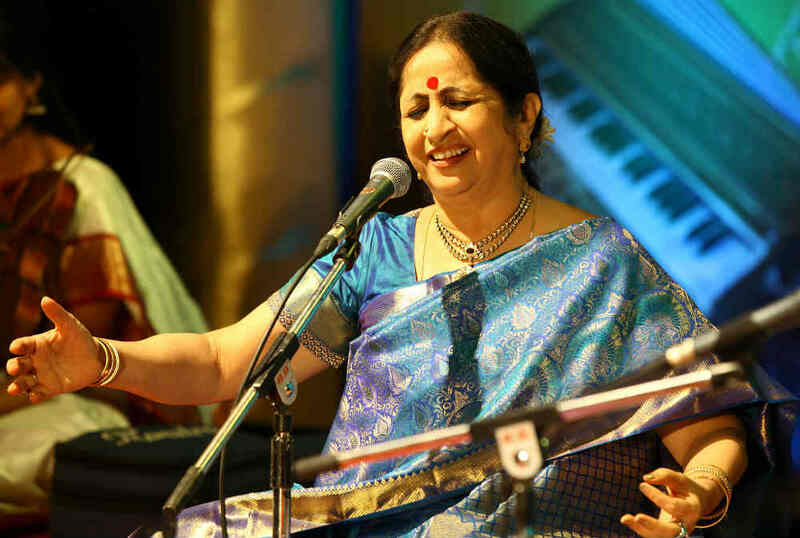 Aruna Sairam was born in Mumbai into a family with a deep love of music. Her mother, the singer Smt. Rajalakshmi Sethuraman, was her first teacher in the art of Carnatic music of South India. Her father, a music connoisseur, received the greatest musicians and dancers from northern and southern India in their home. It was in this propitious atmosphere, which was fundamental to the development of her art, that Aruna met Sangita Kalanidhi Smt. T. Brinda, who trained Aruna in the style of her own mentor, the great Veena Dhanammal, one of the most outstanding figures in Carnatic music. 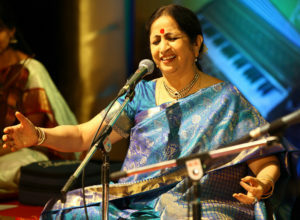 The many national and international honors that have come her way include one of India’s coveted Civilian Honors the Padma Shri, and the prestigious US Congress Proclamation of Excellence, wherein the U.S. national flag was flown atop the Capitol building and handed over to Aruna Sairam with a special Congressional proclamation recognizing her musical contribution. She was appointed by the Chief Minister of Tamil Nadu as advisor to the Department of Culture, Tamil Nadu, on Musical Education. She is currently Vice Chairperson of India’s National Center for the Performing Arts, The Sangeet Natak Akademi. She has also performed across the length and breadth of the country, bringing the richness of South Indian classical music to people from all walks of life. The musical map of the Indian subcontinent could be viewed as a vast single cultural area with a rich and fascinating range of musical dialects. Among a huge number of regional traditions, several have attained high artistic status, through strong patronage and through the concentration of gifted musicians in particular places. Among these traditions, larger ‘canonical’ groupings have come to be recognized over the centuries, in which different local practices have taken their places within overarching musical cultures. The two most commonly acknowledged ‘classical’ cultures are the Hindustani music of the North and the Carnatic (or Karnatak) of the South. ‘Classical’ in the Indian context means, among other things, a music that at the highest level is practiced by rigorously trained specialists, is associated with a long and respected tradition of musical theory and is supported by powerful patronage – whether this be historically that of the temple or kingly court or, as more recently in India, a public following in concerts, broadcasts and a recording industry. Though there are musicians who are trained in both Hindustani and Carnatic music – and there have been experiments in melding the two – true musical ‘biculturalism’ is rare and an upbringing in one tradition does not automatically entail an understanding of the other. But underlying the music there are some fundamental concepts of melody, rhythm and composition common to both. Carnatic music is the dominant classical tradition in the southern states – those parts of India where the major Dravidian languages are spoken: Kannada, Malayalam, Telugu and Tamil. With the help of a few guiding principles, a first encounter with this fascinating world of South Indian sound and meaning can prove highly rewarding. Carnatic music, as we now understand it, can be traced as far back as the 17th century, with some surviving from earlier times. The Hindu religious poet Purandara Dasa (died 1564) composed his Kannada-language poems to be sung and he is popularly regarded as the ‘father’ or ‘grandfather’ of Carnatic music. Though we cannot know much about the style in which his poems were first performed, they are still studied and sung in more recent musical settings. There was a rich musical culture in the 18th century at the Maratha court of Tanjore (Thanjavur, in present-day Tamil Nadu). Here were born, all around the same time in the town of Thiruvarur, the three towering figures commonly referred to as the Carnatic ‘Trinity’. Thyagaraja (1767-1847) , Shyama Shastri (1762-1827) and Muttusvami Dikshitar (1775-1835).The works of these composers have formed the major part of the concert repertoire and it would not be uncommon in even a full-length public performance to hear renderings of works of these ‘composers’ alone. ( The similarity, the time period, the proximity of locations and the impact on the legacy are all very close to the Western Music Trinity, Mozart, Bach and Beethoven ) . All three are inseparably associated with the South Indian Music and most Carnatic concert music is strongly derived from their works.. The association of the temple is as strong as that of the concert hall. The Thanjavur musicians became famous and exerted wide influence. Through the traditional Indian system of ‘teacher-pupil succession’ (guru-shishya parampara), repertoires of songs and associated musical lore were kept alive and flourished through the 19th century and beyond. Thanjavur musicians were employed in many other kingly courts, most notably those of Travancore in present-day Kerala and Mysore in Karnataka. In Travancore the young ruler Raja Swati Tirunal (1813-46) was himself a gifted composer and musical connoisseur, and many hundreds of song compositions still sung today are attributed to him. At his court instrumental music also flourished, especially in the hands of a group of players known as the Thanjavur Quartet. At Mysore under the ruling Wadiyar dynasty there grew up an especially distinguished tradition of veena playing. More recently it was particularly in Madras (now Chennai) that public patronage of Carnatic music dominated. The Music Academy founded in that city in 1928 became chief among numerous institutions teaching and promoting the practice and theory of classical music and dance. The repertoire heard in Carnatic concerts is overwhelmingly based on songs – all musicians are brought up to regard the voice as primary and instrumental music as the offspring of the vocal. So it is that instrumentalists can – indeed should – be fundamentally influenced by knowledge of a vocal repertoire and its intricacies, and even of the voice culture that goes with it. A typical program, whether the main soloist is a singer or an instrumentalist, is a mixture of predetermined and improvised material. The same ‘pieces,’ which serve as a basis for extended performance in rigorously structured improvisation, may be sung or played. Instrumentalists – the solo instrument may be a violin or a veena or some other kind of plucked lute will of course omit the words, but many players and teachers insist nevertheless that constant mental reference to the original song, its text and meaning must be made while playing. A concert will typically start with a song form called a varnam, a structure in three sections preceded by a brief alapana – an improvised introduction to the raga (the underlying melodic and modal structure of the piece). This will be followed by a number of kritis – many being originally composed by members of the Trinity; the melodies of the songs are often also ascribed to these composers and each is in a prescribed metrical cycle (tala). One kriti is likely to be longer and more developed than the others in its execution and elaboration, but each one will be preceded by at least a brief alapana and each will be extended by some apparently open-ended improvisation which reflects the soloist’s inventiveness and a studied body of relevant melodic and rhythmic patterns. A particularly large-scale form is the ragam-tanam-pallavi, in which the opening alapana is long and highly ‘exploratory’. Like much of Indian music, and especially that of the ‘classical’ traditions, Carnatic melody is based on a system of modal substructures (ragas), each of them defined not only by its name and by ascending and descending scalar patterns, but also by characteristic ‘inflection’ of notes – shakes, oscillations, tremolos and so on – and it is perhaps this style of melodic embellishment above all else that gives South Indian music its particular beauty and its characteristic flavor. There is no fixed pitch; the unshifting tonic of the raga (played throughout the performance by one or more drone instruments – called the tanpura) may be set to suit the natural pitch of the main performing voice or instrument. By Western standards, audiences of Indian music tend to show their appreciation of performances rather uninhibitedly, and in Carnatic concerts ‘participation’ is expressed most visibly by the marking and punctuating, through hand and finger gestures, of the metrical schemes (talas) to which the songs are set – rhythms and patterns which are played out on the drums and other accompanying percussion instruments. You may like to try it out – just take the lead of a South Indian sitting nearby! Jonathan Katz teaches at St Anne’s and Brasenose Colleges, Oxford. He is a linguist and musician with interests in European as well as South Asian language, literature and musicology. Longtime contributors to new music blog I Care If You Listen Larry and Arlene Dunn recently published an interview with 2016 Music Director Peter Sellars for the site’s popular “Five Questions To…” interview series. Read the interview below, reposted with permission, and explore more articles and news on the I Care website. 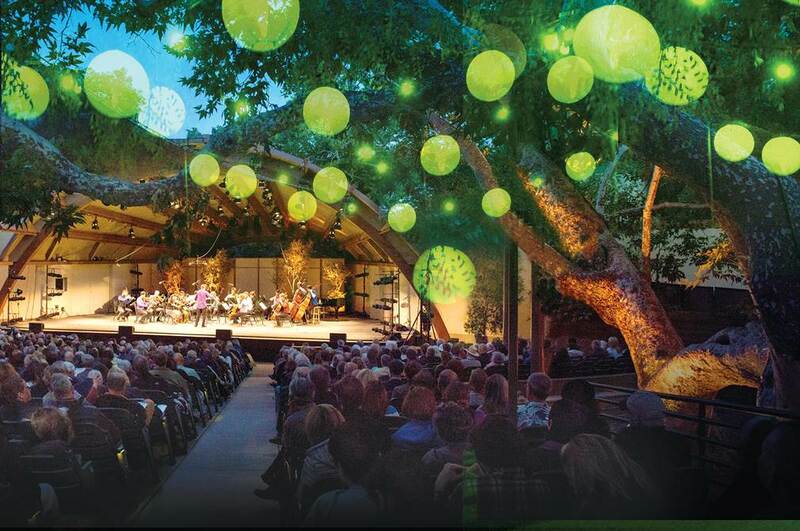 Opera and theater director Peter Sellars is the Music Director for the 70th annual Ojai Music Festival, coming up in June in Ojai, California. 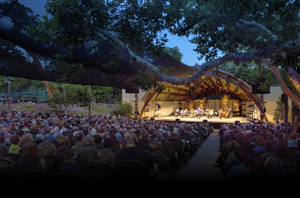 He is in great demand as a creative collaborator by composers, performers, and other artists around the globe, as exemplified by this year’s Ojai program which features works by composers Kaija Saariaho, Claude Vivier, and Tyshawn Sorey, and performances by International Contemporary Ensemble (ICE), soprano Julia Bullock, and international sensations Aruna Sairam and Dina El Wedidi. 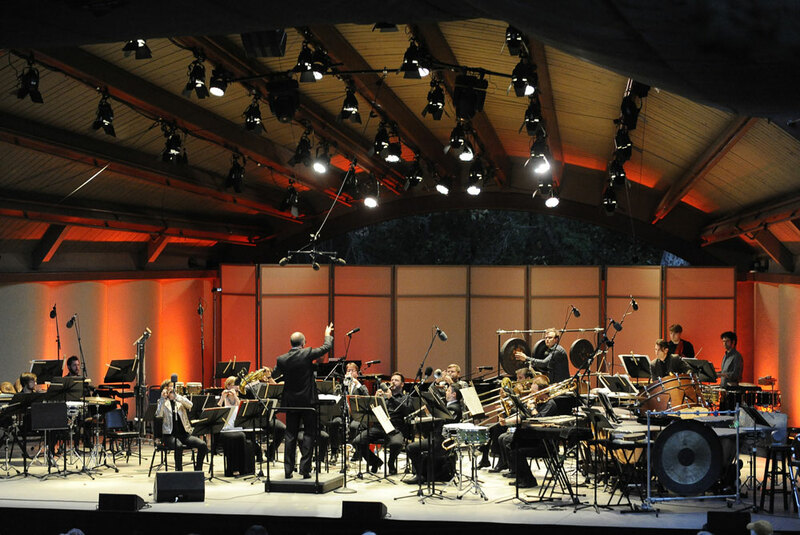 What has been your experience of the Ojai Festival, leading up to your stint as Music Director? I’ve been coming to Ojai as an audience member for over 30 years, since I first moved to California. The first time I worked here was with Pierre Boulez when we staged Stravinsky’s Soldier Story a week after the Los Angeles uprising. More recently I worked with Dawn Upshaw, when she was Music Director in 2011, to stage George Crumb’s The Winds of Destiny. I am thrilled to now be able to assemble a multi-layered program that rests on the immense history of this place — the spiritual searchings of Krishnamurti sitting under the trees, this sacred site of the Chumash people. Contemporary music is always at the forefront here and represents the connection between music and political and social change. This is not new. Classical composers, in their own times, have a long history of foregrounding the textual materials of the movements of their day, taking their music well beyond the realm of entertainment. Mozart in the Marriage of Figaro, Schoenberg in Moses and Aaron, they directly addressed the structures of inequality through their works. This year at Ojai, most of the composers are women. Now, on the one hand, I’d rather not have to mention that. But there’s something wildly exciting about hearing from the other half of the planet. And there are so many more than just a few to choose from! It’s an amazing and deep body of work, and it would be nice if more institutions recognized that. Your Ojai program will highlight the works of Kaija Saariaho; what is it like developing projects with her? Kaija is just an incredible joy to work with; she has such absolute commitment. We discuss new work deeply and intensely, starting very far ahead. Eventually she goes in a room, closes the door and enters a depth of concentration that is extraordinary. She begins with a chart of harmonic colors and everything flows from there. When she has something ready, her work ethic is exemplary. She is in every rehearsal and absolutely engaged with the performers as we hone the final product. You’ve programmed a chamber version of Saariaho’s La Passion de Simone; how will it differ from the original? La Passion was originally written ten years ago for Dawn Upshaw, with large symphony orchestra and chorus. The story delves into the inner life of Simone Weil, the 20th century French philosopher, Christian mystic, and political activist. In this new version, we have the soloist, a chamber orchestra of 19 musicians from ICE, still reasonably large, and a vocal quartet of singers from Roomful of Teeth. In this scale, the piece becomes much more intimate. Our soloist will be the stunning young soprano Julia Bullock, one of Ms. Upshaw’s proteges. Ms. Bullock, a young woman of color, brings the Black Lives Matter movement into the room and makes this piece relevant to today’s world. This upends the abstract character of Simone Weil’s philosophy and gives the work new dimensionality. Then as now, we face the danger of civilization in collapse, confronting evil of all kinds. Kaija’s pathbreaking musical work endures and astonishes us with newfound understanding of our world, its challenges, its possibilities. You’ll also present the world premiere of Josephine Baker: A Portrait; what more can you tell us? Ah, yes. Julia Bullock will also perform the lead role in Josephine Baker: A Portrait, a new oratorio of sorts by Tyshawn Sorey, percussionist, band leader, and composer beyond categorization. Josephine Baker was an African American expatriate in Paris, a contemporary of Simone Weil. And just like Weil, Baker placed her philosophy in her body, her entire lived self. She was an iconic lightning rod challenging the French establishment on issues of racial and gender equality. Sorey’s work blurs the boundaries of so-called jazz and classical musics. He looks expectantly to the future, yet is deeply rooted in the present. The spaciousness of his sensibility and many cultural viewpoints intersect with his highly organized musical structures. Although it is important for him to show Josephine Baker as in control of her own destiny, he also takes the audience into her mysterious life behind the stage where she is haunted by deeper principles and the human struggle to survive. This work breaks Josephine Baker free from her commercial patina and probes her inner dimensions. What other performers on the program are you particularly excited about? First, let me say I am simply enthralled to be working with ICE. This is our first time collaborating together and it’s totally exhilarating. It seems there is nothing they can’t or won’t do in service to the music. I’m over the moon! They draw you right into their family and make you feel a part of their process. I want to adopt them, or have them adopt me. We also have two paragons of international musics who will inject the soul of their home regions into the festival. Aruna Sairam is the absolute flower of South Indian spiritual music. She is an innovative singer with a strong political voice, and a visionary collaborator with Western musicians. Dina El Wedidi, from Cairo, is the voice of Tahrir Square and the next generation of Egyptian music. Her voice is captivating and irresistible. There is a fierce political thread through her music that opens a space for a future otherwise unable to be born. 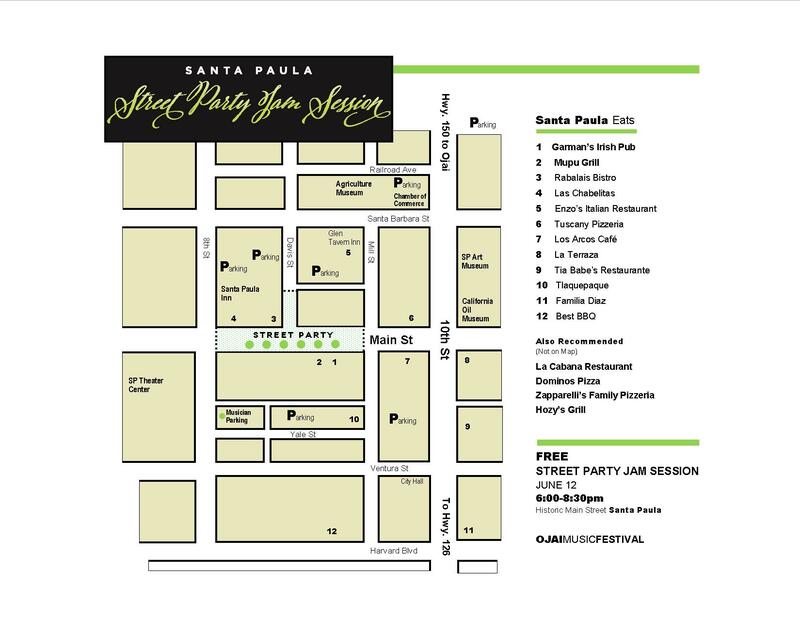 The Ojai Music Festival and Santa Paula Chamber of Commerce will present a free Street Party Jam Session following the Sunday, June 12 concert at the Libbey Bowl. 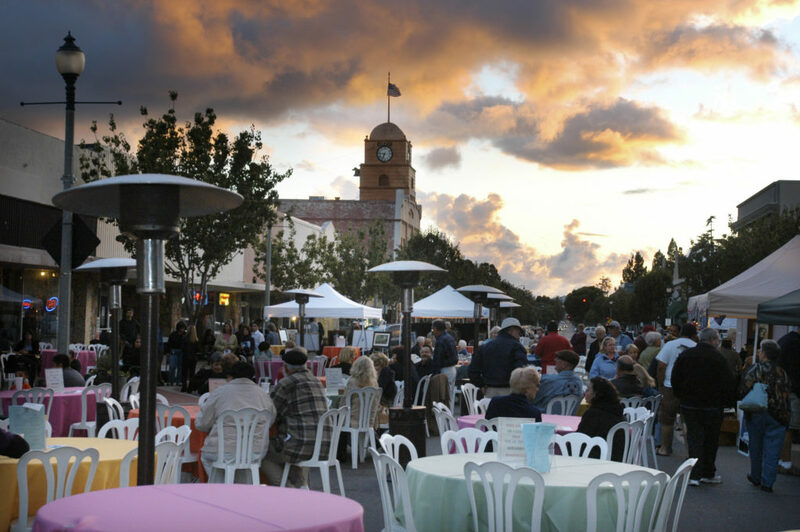 Plus, downtown Santa Paula restaurants will be open for the community and patrons to enjoy during the evening performances. Free parking in downtown Santa Paula. 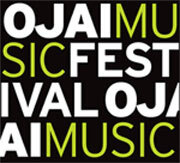 OJAI, CA (UPDATE APRIL 6, 2016) —The 70th Ojai Music Festival (June 9-12, 2016) with Music Director Peter Sellars pays tribute to a defining hallmark of the Festival – reimagining each year by affording the appointed music director creative freedom to explore their artistic interests and collaborations. Acclaimed opera and theatre director Peter Sellars’ vision for the upcoming Festival honors its long-held spirit of challenging audiences musically and intellectually in a celebration of music in the context of our world today. 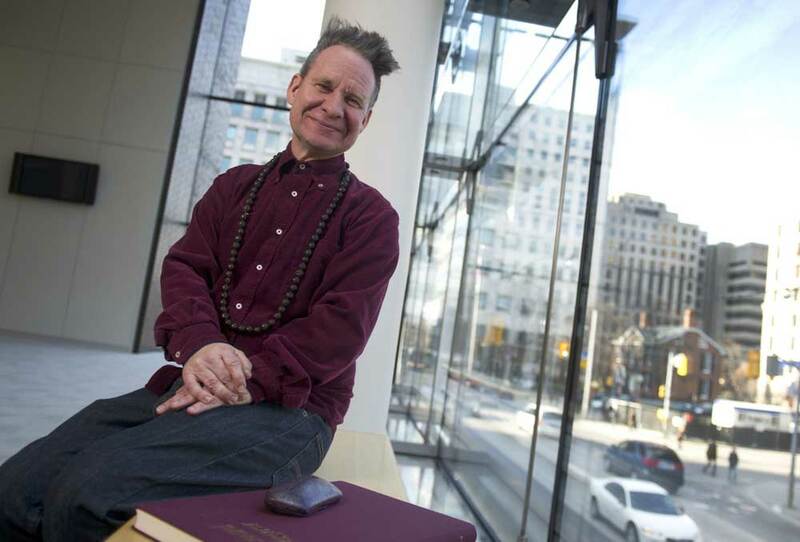 Peter Sellars has long been known for infusing his music and opera productions with contemporary ideas and social issues. Believing that most classical music is grounded in spiritual and political contexts, he includes a variety of perspectives in his work. He says, “Art was invented as a way to face really difficult things with a sense that in facing them, you’ve already started the healing process.” As such, The 70th Festival embraces opening up to new ideas, new music, new audiences, and new communities. Mr. Sellars is one of the most innovative and powerful forces in the arts, both in America and abroad. His partnership with Ojai dates back to 1992 when he directed a daring version of Stravinsky’s Histoire du Soldat with Music Director Pierre Boulez. Returning to Ojai in 2011 with Music Director Dawn Upshaw, he directed the critically acclaimed world premiere of the staged production of George Crumb’s song cycle, The Winds of Destiny. “For the first time, composer Kaija Saariaho will come to Ojai. We will feature one of her most potent and visionary works. Her new chamber version of La Passion de Simone, a meditation on the life of the courageous French philosopher Simone Weil, written to a wise and humane text by Amin Maalouf, will receive its American premiere with the extraordinary young soprano Julia Bullock. It is a work of startling integrity and permanent challenge in dark times, with a flame of hope that burns brightly and intensely in the darkness. The fierce commitment and brilliance of that flame will be embodied by ICE and Roomful of Teeth, conducted by Joana Carneiro. Ojai is pleased to announce additional performances, including a free late night event, featuring vocalist Leila Adu on Friday, June 10, 10:30pm, at the Libbey Bowl. On Saturday, June 11, a concert at the Zalk Theater at Besant Hill will feature the Calder Quartet and Davone Tines performing works of Christine Southworth, Caroline Shaw, and Leila Adu. Patrons currently holding tickets to the cancelled performance of Only the Sound Remains will be given priority access to tickets for these two events. The Festival is offering multiple ways for patrons to handle previously purchased tickets of the Only the Sound Remains, including refunds, exchanges, or tax-deductible donations. Patrons can contact the box office at 805 646 2053 for additional details. “From Tahrir Square in Cairo, Dina El Wedidi and her band come to America to present a new song cycle that paints a personal picture of the realities, aspirations, disappointments, and determination of the Egyptian revolution. Dina El Wedidi epitomizes the new Egyptian women of a rising generation, her unmistakable voice alive with courage, allure, and the breath of freedom. Her band includes traditional Egyptian and modern electronic instruments. Newly announced artists who will also make their Ojai debuts include Leila Adu, a New Zealand composer of Ghanaian descent. With a “voice like hot treacle on broken glass”, she has performed her original piano songs and improvisations worldwide. Based in Brooklyn, she is a currently a Princeton doctoral fellow and also teaches music to prisoners at Sing Sing Correctional Facility as a faculty member of Musicambia – Music as Social Change in Incarcerated Communities. Ojai audiences will also welcome bass-baritone Davone Tines. Mr. Tines is building an international career commanding a broad spectrum of opera and concert performance from early music to adventurous contemporary works. Upcoming engagements include the workshopping and premiere of Crossing: A New American Opera for The American Repertory Theater directed by Diane Paulus, and his European debut with the Munich Philharmonic and the premiere of Kaija Saariaho’s Only the Sound Remains by the Dutch National Opera in March, directed Peter Sellars. Mr. Tines is a 2009 graduate of Harvard University and 2013 Master of Music graduate of The Juilliard School. In addition to Ms. Adu and Mr. Tines, Ojai is pleased to announce the debut of flutist Camilla Hoitenga. Ms. Hoitenga is at home on stages worldwide, playing not only the C-flute, but also the alto, bass, and piccolo flutes, in addition to other varieties of her instrument. Her repertoire ranges from pre-Bach to post-Stockhausen. Her recordings, in particular those with Kaija Saariaho, have won awards in France, Great Britain, and North America. She has performed concertos written for her by composers such as Kaija Saariaho, Péter Köszeghy, Ken-Ichiro Kobayashi, and Raminta Serksnyte. “This year’s Festival will have its rituals. At mid-day there will be concerts of the kaleidoscopic and more rarely performed chamber works of Kaija Saariaho. The later afternoons will offer music of longing and consolation. Caroline Shaw’s works will be paired with Carla Kihlstedt’s phosphorescent exploration of dream worlds, At Night We Walk in Circles and Are Consumed by Fire, and Du Yun’s peeling away the surface of the world in An Empty Garlic. An addition to this year’s Festival schedule is Pauline Oliveros’ Sonic Meditations, which will lead the Friday and Sunday mornings, realized by ICE and performed at Meditation Mount. On Sunday evening following the concerts at the Libbey Bowl, the Festival will present a free street party on the main street of neighboring Santa Paula – a half-hour drive east – featuring ICE, Dina El Wedidi, Aruna Sairam, Roomful of Teeth, Leila Adu, and other artists, expanding the geographic boundaries of the Festival. Ojai Talks will launch the Festival on Thursday, June 9 with Ojai Talks Director Ara Guzelimian in conversation with Peter Sellars and Kaija Saariaho, at the Ojai Valley Community Church. Preceding the Thursday, Friday, and Saturday concerts on the Libbey Bowl stage will be Transformation Talks: Light into Darkness, Darkness into Light – a series of discussions with prominent guest panelists moderated by Peter Sellars and distinguished musicologist Susan McClary. Concert Insights with Christopher Hailey interviewing featured artists will take place before the afternoon concerts at the Libbey Park Tennis Courts. Marking the sixth year of artistic partnership, Ojai at Berkeley celebrates the dynamic nature of the Ojai Music Festival and of Cal Performances. As two distinct communities with similar values, Ojai and Berkeley are both known for intrepid artistic discovery, spirited intellect, and enduring engagement in the arts. 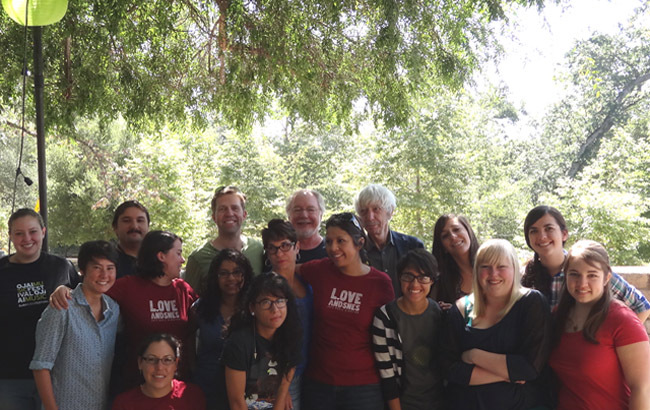 Inaugurated in 2011, Ojai at Berkeley is a joint force that enables co-commissions and co-productions and allows artists to achieve more than could be imagined by each organization separately. Ojai at Berkeley follows the 2016 Ojai Music Festival and will take place from June 18 to 20 in Berkeley, CA. For more information visit CalPerformances.org. Festival single tickets are available for the 2016 Festival and may be purchased online or by calling (805) 646-2053. Tickets range from $40 to $150 for reserved seating and lawn tickets are $15. Percussionists are different. Their musical world has no fixed boundaries; there is no limit to the instruments they play and the sounds they make. There are no pretentious barriers between nature and artifice, no strictures on performing indoors or out. Their precursors reach back to the dawn of time and members of their guild are found in every culture. Hand a percussionist a random rock or the most exquisitely forged gong and he or she will make it speak, sometimes with breathtaking virtuosity born of the simplest gestures by which we interact, though touch, with our material world. So what does it mean that Ojai’s 2015 music director is a percussionist? Quite a lot if that percussionist is Steven Schick. No one has done more to champion, interpret, and expand the repertory of contemporary percussion music than Steven Schick. Not only has he mastered the entire solo repertory – and more than doubled its size through commissions – but as a conductor, educator, and author he has deepened our understanding of the role of percussion in music’s past, present, and future. More importantly, as an artist of broad interests and deep convictions he has explored cultural issues well beyond the already boundless frontiers of his chosen specialization. To a percussionist’s ear music begins with rhythm, color, and gesture and these are the elements that form the nexus of the diverse works and decidedly international array of composers of this all 20th– and 21st-century festival. 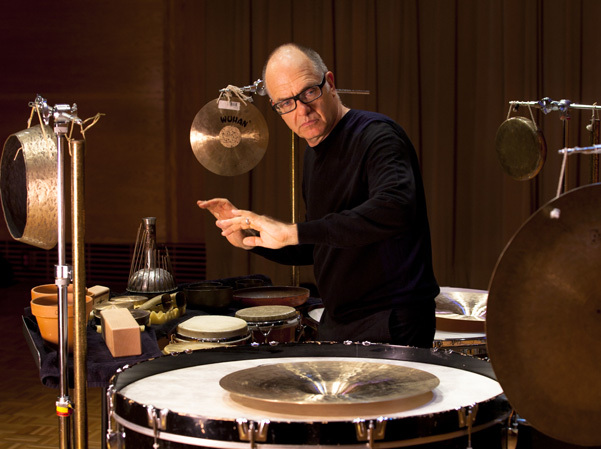 Naturally, we’ll hear Steven Schick perform classics of the solo percussion repertory – compositions by Stockhausen, Xenakis, and Globokar, as well as more recent compositions by David Lang and Kaija Saariaho, and the American premiere of Roland Auzet’s staging of Kurt Schwitter’s Dadist masterpiece, Ursonate. But Steve will also conduct ICE (International Contemporary Ensemble), red fish blue fish, Renga, and musicians from CalArts, groups with which he is closely identified, in a broad array of ensemble works of varied scorings, including the West Coast premiere of John Luther Adams’ Sila. Among the distinguished soloists is cellist Maya Beiser playing pieces by Osvaldo Golijov, Michael Harrison, and Chinary Ung. Other highlights are a sunrise performance of Morton Feldman’s For Philip Guston in which Steve is joined by flutist Claire Chase and pianist Sarah Rothenberg, Lou Harrison’s Concerto for Pipa featuring Wu Man, and Messiaen’s Vision de l’amen with pianists Gloria Cheng and Vicki Ray. This year’s “old timers” include Copland, Chavez, Ginastera, and Varèse, all with scores new to Ojai, save one late-night chestnut: Appalachian Spring. 2015 marks the beginning of a three-year celebration of Ojai’s roots in Southern California, where open exploration and cross-cultural dialogue are written into the DNA. It is therefore especially apt that this festival opens with a Wednesday night multimedia tribute to Pierre Boulez, seven-time festival director, on the occasion of his 90th birthday. Four concerts are devoted to his music, each in creative juxtaposition with works by Béla Bartók: the six string quartets and, as the finale, the Sonata for Two Pianos and Percussion. This means Steven Schick will have the last word: a snare drum diminuendo with which he ushers us across the fluid borders of his imagination into silence. Christopher Hailey is a music historian specializing in new music. He is the Ojai Music Festival’s longtime annotator and host of Concert Insights, the Festival’s in-depth discussions held before each concert. Just as the Festival nurtures emerging artistic talent on the stage and cultivates interest in music in Ojai Valley public schools, it is also committed to training the next generation of music and arts management students through its internship program. The Festival invites interested students from all fields of study to apply for an internship. The program is ideally suited for curious, motivated individuals who are interested in the diversity of possible careers in the arts, events, and the nonprofit world. Festival interns have gone on to have successful careers in both the nonprofit and for-profit sectors – those who have gone on to work in the arts have done so at organizations across the country, including Pacific Symphony, Early Music Guild of Seattle, and Voices of Change, as well as forged new paths as entrepreneurial performing artists and composers. Thank you to everyone who joined us at our 2015 Launch Party on November 22. 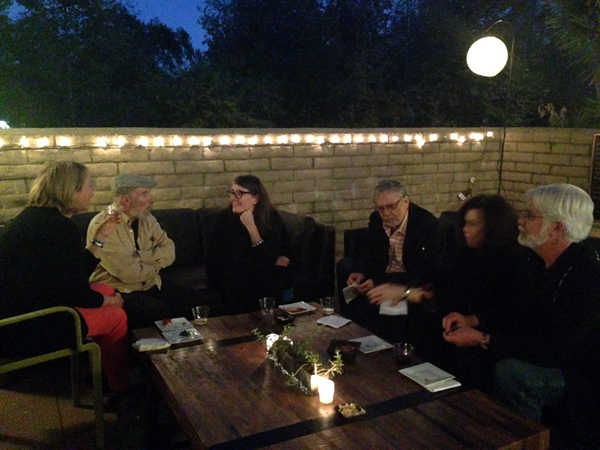 We had a wonderful time meeting Festival enthusiasts from Ojai, Ventura, Santa Barbara, Los Angeles…and beyond! We also showed clips from the world premiere of A Pierre Dream: A Portrait of Pierre Boulez, which will be presented on June 10, and of John Luther Adams discussing Sila: The Breath of the World, which will be performed on June 11. If you were unable to attend, you can view both clips below. Free and open to the Festival community. RSVP by emailing info@ojaifestival.org to RSVP or calling 805 646 2094. Hope to see you there! As the Ojai Music Festival wraps up the 68th Festival (June 12 – 15, 2014) with Music Director Jeremy Denk, the Festival’s 2015 Music Director Steven Schick and Artistic Director Thomas W. Morris share initial programming for the 69th Festival, which focuses on music by almost thirty composers, half of whom are new to Ojai; the West Coast premiere of John Luther Adam’s Sila: The Breath of the World and a special pre-festival performance on Wednesday June 10 of Pierre Boulez: A Portrait, a spectacular multi-media kaleidoscope production with narration, archive films clips, live music, and stage set by Frank Gehry, part of the Chicago Symphony Orchestra’s Beyond the Score series. The 2015 Festival runs from Thursday, June 11 through Sunday, June 14, 2015. Ojai enthusiastically welcomes percussionist, conductor, teacher, and author Steven Schick as Music Director. With Mr. Morris, Mr. Schick has devised a unique and explosive festival focused entirely around 20th and 21st century composers, featuring Mr. Schick as collaborator, teacher, actor, conductor, and master percussionist. Joining him will be long-time colleagues including the International Contemporary Ensemble (“ICE”), the San Diego string ensemble Renga, pipa artist Wu Man, and virtuoso cellist Maya Beiser. The 69th Festival programming will feature works by John Luther Adams, Béla Bartók, Pierre Boulez, Edgard Varèse, and Iannis Xenakis, as well as by emerging composers, including Anna Thorvaldsdottir, Roland Auzet, and Lei Liang. Additional programming will be announced in the fall. 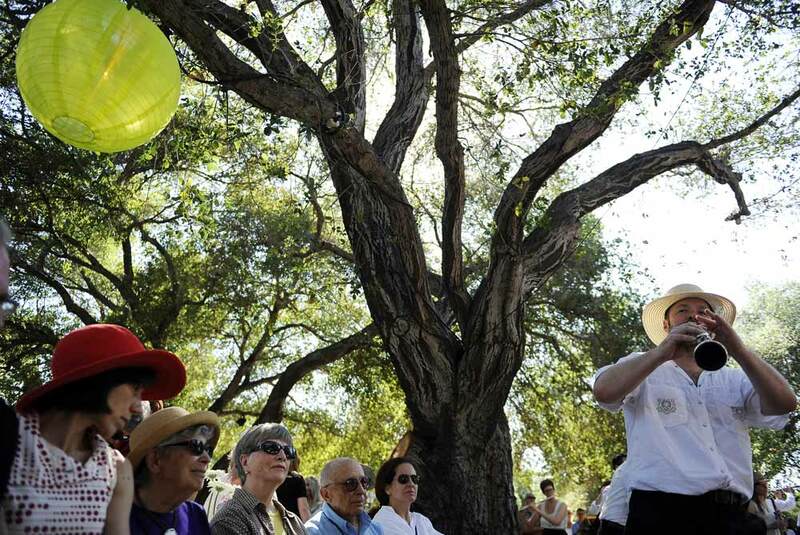 No stranger to Ojai, Mr. Schick collaborated on the 2011 Festival’s production of George Crumb’s Winds of Destiny (Dawn Upshaw, music director), as well as the 2012 Festival (Leif Ove Andsnes, music director) in John Luther Adams’ Inuksuit, performed throughout Libbey Park. A champion of new music, Mr. Schick has commissioned and premiered more than 150 new works and is the founder and artistic director of percussion group red fish blue fish. He is the founding member of the Bang-on-a-Can All Stars and is currently artistic director of the San Francisco Contemporary Music Players, as well as music director of the La Jolla Symphony and Chorus. He is on the faculty of the University of California, San Diego. In 2015, the program will showcase Mr. Schick’s unique and broad talents as a percussionist, conductor, performer and musical trailblazer. The 2015 Ojai Music Festival will honor Pierre Boulez on the occasion of his 90th birthday with four concerts featuring Boulez’s music paired with the music of Béla Bartók. 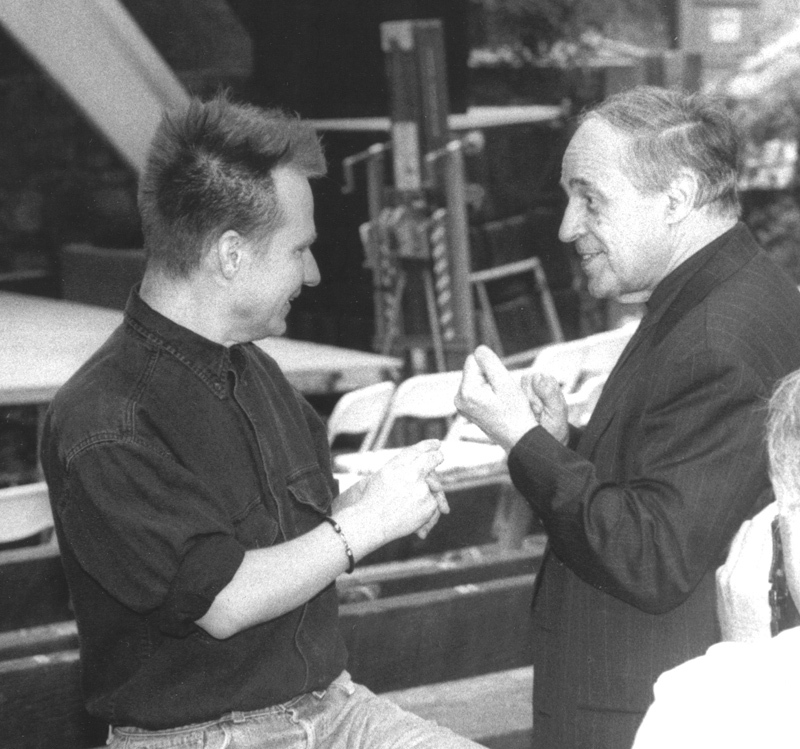 In addition, on Wednesday, June 10 prior to the Thursday June 11 start of the Festival, Ojai will present the West Coast premiere of Pierre Boulez: A Portrait, a kaleidoscope of recorded and live music, words, and imagery. Pierre Boulez is one of Chicago Symphony’s Beyond the Score programs and features original set design by architect Frank Gehry. 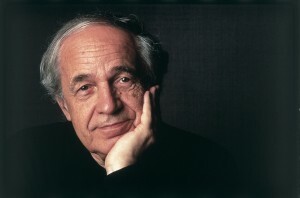 The performance will be preceded by a special panel discussion by Boulez’s friends and colleagues entitled “Boulez in Ojai.” Pierre Boulez has served as music director seven times since he first curated the Festival in 1967. He was most recently music director in 2003. “Pierre Boulez is not only one of the seminal figures of our time but a prominent figure in Ojai’s history having made his American conducting debut in Ojai in 1965. He has been music director seven times. It is only fitting that we celebrate this master and friend on this milestone,” commented Artistic Director Thomas W. Morris. Festival collaborator and recent Pulitzer Prize-winning composer John Luther Adams returns to Ojai in 2015 with the West Coast premiere of his Sila: The Breath of the World, to be performed at a free community event throughout Libbey Park. This new work for an ensemble of 80 musicians will receive its first performances in July 2014 at the Lincoln Center Out of Doors Festival. In the Inuit tradition, sila is the spirit that animates all things—the wind, the weather, and all forces of nature. In Sila: The Breath of the World, composed specifically to be heard outdoors, musicians and listeners alike are encouraged to move about the performance space freely. John Luther Adams’ music was first heard in the 2009 Festival, and again in 2012 with a performance of Inuksuit in Libbey Park. The 2013 Festival included performances of Mr. Adams’ For Lou Harrison, Strange and Sacred Noise, and songbirdsongs. 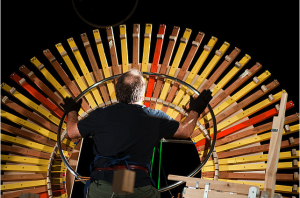 Throughout the 2015 Festival, Schick Machine by Paul Dresher will be performed daily in special free community concerts. Collaboratively created by a multi-disciplinary team including composer/instrument builder Paul Dresher, writer/director Rinde Eckert, Steven Schick, lighting and visual designer Tom Ontiveros, instrument inventor/educator Daniel Schmidt, and mechanical sound artist Matt Heckert, Schick Machine features Mr. Schick exploring a visually compelling world of mechanical devices, invented instruments, and seemingly infinite sonic possibilities. Exploring a magical stage filled with enormous, specially conceived instruments — including the Hurdy Grande, the Tumbler, the Peacock, the Field of Flowers, and a deconstructed pipe organ – the Schick Machine weaves whimsical stories of Mr. Schick’s childhood in Iowa with unexpected encounters with noise-making objects and invented instruments. 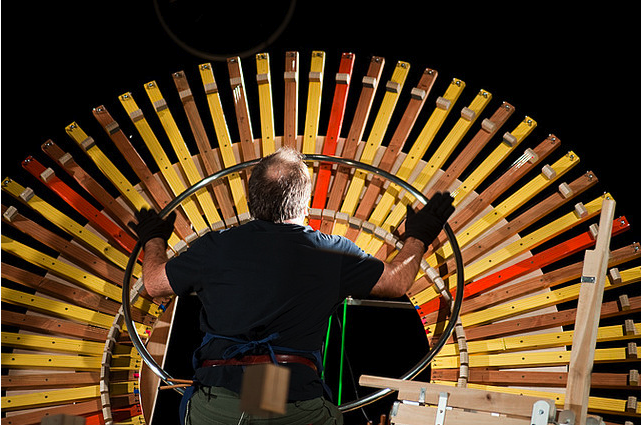 Audience members will be invited onstage at the end of each performance to play with these unique and fantastical instruments. Executive Director Janneke Straub joined the Festival in January 2014. She sat down to share a bit about herself and her vision for the Festival’s upcoming years. I grew up in France, living in Nice and Paris, going to all kinds of festivals – my parents are mostly into new music and baroque music (not orchestral music and opera). They also love modern sculptures, contemporary architecture, and medieval art. They still travel to nurture these passions. In Nice, I lived next to the Matisse Museum, the arenas, and the world-class Nice Jazz Festival. During this one week festival, bands performed on three different stages and changed every hour from 5:30pm to 10:30pm. Guest artists included both the most famous and the up-and-coming like Lionel Hampton, Dizzy Gillespie, Stan Getz, and Stephane Grappelli. And you became involved with music festivals from an early age? While in middle and high school, my parents encouraged me to attend summer academies in the most beautiful festival settings. My favorite was the Pablo Casals Festival nestled in a small village, Prades in the Pyrenees, near the Spanish border, where cellist Pablo Casals lived during Franco’s regime. Casals interrupted his international career, left his beloved country and refused to perform in protest. His musician friends and fans finally convinced him to celebrate the bicentennial of Johann Sebastian Bach with them in 1950 after 12 years of silence. That’s how this chamber music festival started. As a young student at the International Pablo Casals Academy, I would practice, and play chamber music, then get all dressed up and go to the concerts in the late afternoon and evening. Most of the concerts took place in the parish church and in the Abbey of Saint Michel de Cuixa with its pink marble cloister built in the 11th century. The three monks who lived in this reclusive sanctuary kept an eye on us (no tank tops, shorts, etc). After I left Nice to pursue my studies at the University in Paris, I needed a summer job and the Artistic Director of the festival, Michel Lethiec, invited me back to work in production. I returned to work at the festival every August for seven consecutive years, until I moved to the United States in 1996. What I love most about festivals is that you put your everyday life aside, and the focus is 100% on music. Beautiful settings have a major effect on us. You feel completely open and focused on the present and what you are about to experience. What was your first job in the US? I worked for the Los Angeles Philharmonic at a time when the organization completely re-invented itself and became a model orchestra for the 21st century. I learned about fund development during the capital campaign [to build Walt Disney Concert Hall], the opening celebrations, and the first five years in Disney Hall, when Esa-Pekka Salonen was Music Director. Frank Gehry’s vision was to build a living room for the city. No one on staff, other than [President] Deborah Borda, had opened a new hall before. From one year to the next, the LA Philharmonic Association doubled the number of concerts that it presented from approximately 80 in 2002 to 150 in 2003. What I experienced during those 13 years was so unique: we, the staff, had this extraordinary chance to stretch our minds and work as a team to make this transformation happen. What was your next big career move? In October 2008, I left the LA Philharmonic to become the Executive Director of the American Youth Symphony, which is a training ground for exceptionally talented college level musicians. Access to this 105-member orchestra is based on merit only. There is no tuition, no fees to audition; only vibrant music making. The challenge was to turn this traditional orchestra into the powerful and trend-setting organization that it is today. And now you’re in Ojai at the Festival! What are you most excited about? I am excited to work with Artistic Director Tom Morris. We share this desire to reinvent the Festival, and ourselves, every year – a love of exploration and new ground. Our work is about creating a stimulating environment for the audience and for world-class artists. It’s about engaging a community into the process of creation. I’d like to work closely with the Ojai community to make sure the work we do impacts the community in a stronger way. In my mind, this Festival is flourishing because it is rooted here, in a beautiful community and a spectacular natural setting. I’d like every aspect of the Festival to be cutting-edge; the experiences you gather in Ojai are exceptional, ear-opening, inspiring, and fun. I’d like our guests to feel the way you feel when you visit an exhibition and discover something new and completely unexpected that opens the door to a new world to explore. Did you ever think that you’d be running your own Festival? When I was about 22 years old, I had a dream and thought: “Wouldn’t it be nice if I ran my own festival, one-day?“ And here I am! You can contact Janneke at 805 646 2094 or jstraub@ojaifestival.org . The Festival recently announced upcoming Music Directors for the next three years – Steven Schick, Peter Sellars, and Esa-Pekka Salonen. Despite their different backgrounds and wide interests, the three share a common, strong bond with southern California, as well as a history of past Festival appearances. Explore some recent – and not so recent – photos of Steve, Peter, and Esa-Pekka out of our archives in the slideshow below. 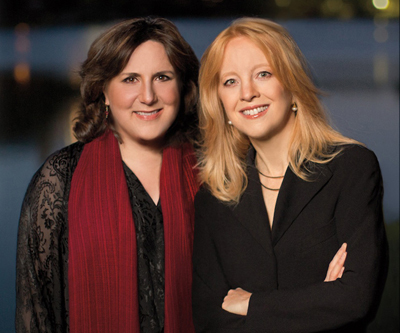 Congratulations to Maria Schneider and Dawn Upshaw, who both received Grammy Award nominations for their recording of Winter Morning Walks with the Australian Chamber Orchestra. Schneider is nominated for Best Contemporary Classical Composition and Upshaw for Best Classical Vocal Solo. The recording also received nominations for Best Engineered Album (classical). Winter Morning Walks, which takes as its text poems by Ted Kooser, received its premiere at the 65th Ojai Music Festival in 2011, where Upshaw served as music director. The piece was a co-commission of the Festival, Cal Performances, and the Australian Chamber Orchestra. Listen to the track “Perfectly Still This Solstice Morning” from Winter Morning Walks and ArtistShare album released earlier this year. We have our fingers crossed for both Maria and Dawn and wish them the best of luck with the final announcement! If you missed the 2011 performance, be sure to get your own copy using the link below. ffing on a layered counterpoint of styles and eras. Expect the same from a new work by Andrew Norman, whose wide-ranging interests and creative independence are part of his generational DNA. 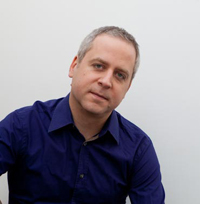 And from Jeremy Denk — a libretto inspired by Charles Rosen’s analytical survey of Haydn, Mozart, and Beethoven — The Classical Style. Hmm, the whiff of musicology…Party over? Not when Denk uses words like “irreverent,” “promiscuous,” and even “perverse” to describe this highspirited romp — abetted by composer Steven Stucky—through the crisp sparkle of the classical style, when music learned the art of conversation. 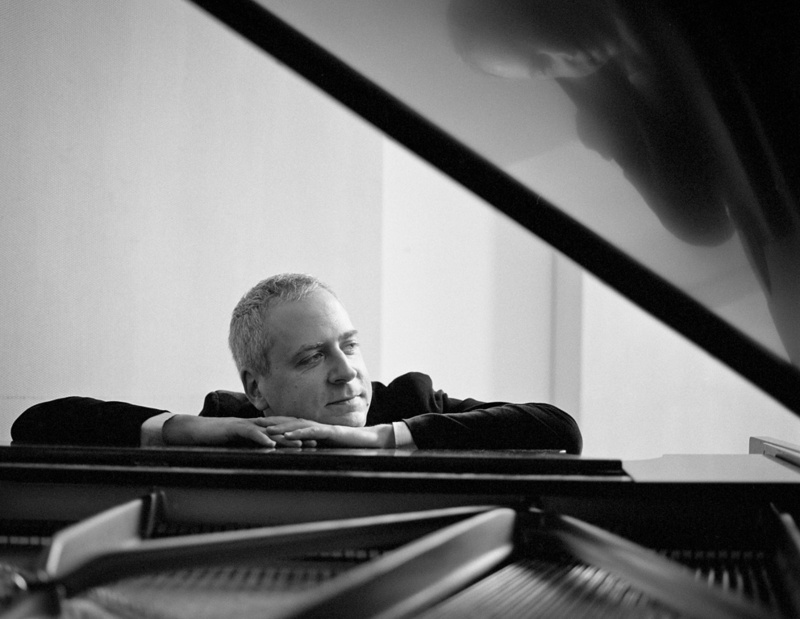 To Jeremy Denk, intelligent conversation, the give-and-take of ideas, is the whole point of music-making. It informs the depth and insight of his performances, the elegance and wit of his writing, and the quality of his musical friendships. For Ojai he has sought out colleagues who share his musical passions and love of fun, including pianist and conductor Uri Caine, the innovative orchestral collective, The Knights, conductors Robert Spano (2006 Ojai Music Director) and Eric Jacobsen (old friends from college days), as well as such vibrant solo performers as violinist Jennifer Frautschi and vocalist Storm Large. And where else do you throw this kind of party than in Ojai? No idle chatter here, no cocktail trivialities. In this environment, open to discovery with an audience ready to engage, every concert becomes a happening. Because in Ojai, it’s always all about the music. Musicologist Christopher Hailey is Ojai’s program book editor and host of Ojai Concert Insights. 2014 advance series subscriptions are now available; single tickets go on sale Spring 2014. For more information, please call 805 646 2053 or email boxoffice@ojaifestival.org. Meeting attendees also learned more about The Classical Style opera project and were introduced to the Festival’s new Executive Director, Janneke Straub. In addition, the organization thanked members of the Board and welcomed arts leaders Scott Reed and Nancybell Coe to the Board of Directors. The meeting concluded with a surprise Education Through Music (ETM) flashmob, featuring BRAVO! students and artists-in-residence. Further details, including schedules for Ojai Extra events will be released early next year. Series passes are on sale now for the June 12-15 Festival. 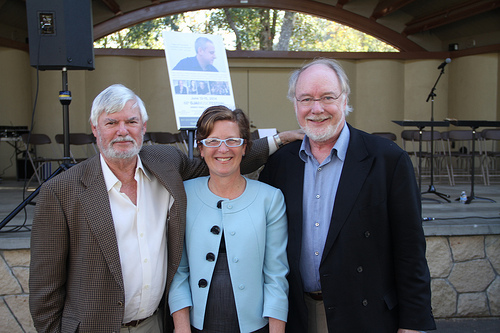 On November 9, the Festival held its Annual Meeting in Libbey Bowl. Artistic Director Thomas W. Morris shared programming details for the 2014 Festival with Jeremy Denk and the organization announced the appointment of its new Executive Director, Janneke Straub. Thank you to all the BRAVO! students who volunteered their time for the Annual Meeting and to all the attendees for their steadfast support of the Festival. Scott Reed and NancyBell Coe have been appointed to the Board of Directors of the Ojai Music Festival for three-year terms, announced Ojai’s board president Stephen (Mike) J.M. Morris at the recent Festival annual meeting held in Ojai. Both Mr. Reed and Ms. Coe are Santa Barbara residents with significant experience in the performing arts field. Mr. Reed is the president of the Music Academy of the West in Santa Barbara and Ms. Coe retired from that same position in 2010. At the meeting, Mr. Mike Morris also recognized outgoing board members Jet Doye, Ron Phillips, Alan Rains, Esther Wachtell, and Stuart Meiklejohn, who served as board president between 2012-2013. He also welcomed the Festival’s new executive director Janneke Straub, who will begin her tenure in January 2014. 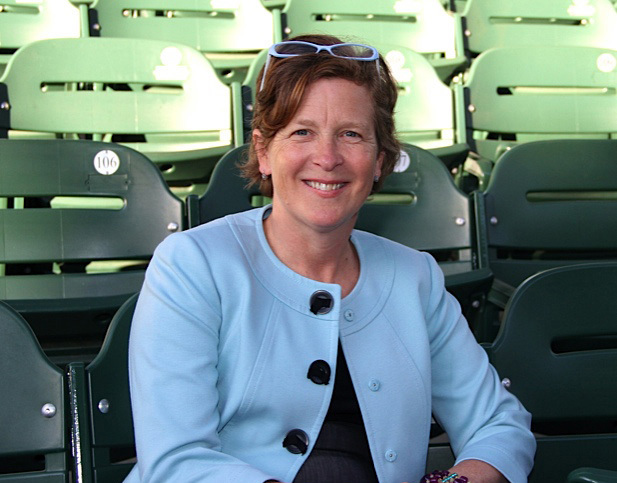 Ms. Straub is currently the executive director at the American Youth Symphony in Los Angeles. NancyBell Coe retired as President of Santa Barbara’s Music Academy of the West in August 2010. She came to the Music Academy in 2004, after several years as artistic administrator at the Aspen Music Festival and School. Her long career in the performing arts industry includes the Cleveland Orchestra, the Los Angeles Philharmonic and the Spokane Symphony in Washington. She was on the Ojai Music Festival Board of Directors from 2004-2010. NancyBell is active in the Santa Barbara community, where she serves as one of three co-trustees of iCAN, the Incredible Children’s Art Network and as a board member for the Community Arts Music Association of Santa Barbara, Inc. (CAMA). Additionally, she is a member of the Association of California Symphony Orchestras and New Music USA (New York). She further serves on the Board of Overseers at the Curtis Institute in Philadelphia. She earned her bachelor’s degree in music from Wellesley College, Phi Beta Kappa. 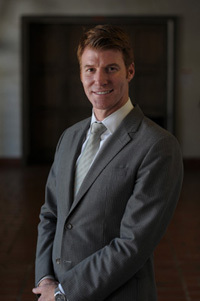 Having begun his career at the Music Academy of the West as an unpaid intern in 1997, Scott Reed became only the fourth president in the history of the renowned classical music institution in August 2010. Immediately prior to his appointment, Mr. Reed served as vice president for institutional advancement at the Music Academy for five years. He came to the latter position via the San Francisco Opera, where he worked as associate director of development for nearly two years. While in San Francisco, he also served as a consultant for the St. Luke’s Hospital Foundation. Following his stint as a college intern, Mr. Reed worked for the Music Academy from 1997 to 2004 as coordinator of alumni and student affairs, major gifts officer, and executive manager of the long-range facility upgrade campaign and permit entitlement process. During this time he was instrumental in the development of several initiatives, including the Academy’s innovative Compeer Program, which pairs fellows with donors and other Santa Barbara community members for informal social events throughout the summer season. Mr. Reed earned his bachelor’s degree in vocal performance at the University of California, Santa Barbara. 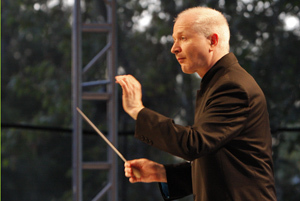 Musical America announced their 2014 award recipients today, and among them were two Ojai music directors: conductor/composer George Benjamin and pianist Jeremy Denk. George Benjamin, music director of the 2010 Festival, was awarded Composer of the Year. Benjamin brought his opera Into the Little Hill to Ojai audiences in 2010 and Musical America highlighted his 2012 opera, Written on Skin, as “at once exquisitely wrought and devastatingly raw.” Written on Skin has received almost 40 performances internationally to date and had its US premiere in August at Tanglewood – a music stream of the performances is available from New York’s WQXR Q2. 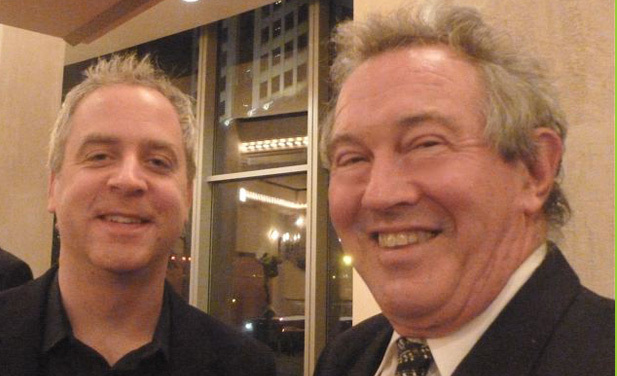 Jeremy Denk, who will serve as music director of the 2014 Festival, received the Instrumentalist of the Year award. As Musical America wrote, “His flourishing concert schedule, the second release in his Nonesuch recording contract (Bach’s Goldberg Variations), his widely read blog called “Think Denk,” and articles for the New Yorker, which led to a Random House book commission, attest to his multi-faceted artistry.” Denk is in the process of creating an opera of his own, The Classical Style, based on Charles Rosen’s work of musical analysis, which will feature music by Steven Stucky. The Musical America awards rank among classical music’s highest honors, and will be presented by the performing arts resource at its annual ceremony on December 17 at Lincoln Center. The Ojai Music Festival congratulates both George and Benjamin on their achievements – and hopes that this will be another in a line of many for both! 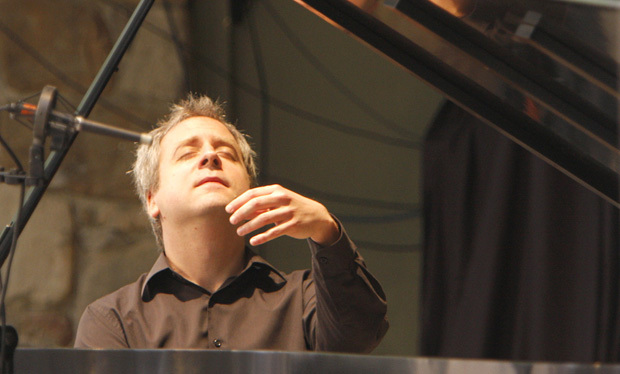 We received news late last night that Ojai’s 2014 Music Director, Jeremy Denk, has been named one of 24 recipients of a MacArthur “Genius” Grant. We extend our heartfelt congratulations to Jeremy on this well-deserved accolade and can’t wait to see what the next five years bring! “MacArthur named its 2013 class of MacArthur Fellows, recognizing 24 exceptionally creative individuals with a track record of achievement and the potential for even more significant contributions in the future. Fellows will each receive a no-strings-attached stipend of $625,000 (increased from $500,000) paid out over five years. Without stipulations or reporting requirements, the Fellowship provides maximum freedom for recipients to follow their own creative vision. We did get to meet Jeremy and Rusti took a couple of pictures. Let us know if these work for you. You may notice in the first one, when I am talking to him, that I was wearing the”Think Denk” pin. Jeremy got a big laugh out of this, but it also became an item that others noticed, so we had a chance to inform them about Ojai! Before the concert, I got a chance to listen to the CD you sent. I had always been struck by how the transition in Beethoven’s last piano sonata seemed to foreshadow boogie-woogie jazz 200 years later. It was therefore so gratifying that Jeremy made that same point in his liner notes. In the post concert talk, he m entioned his love of jazz. 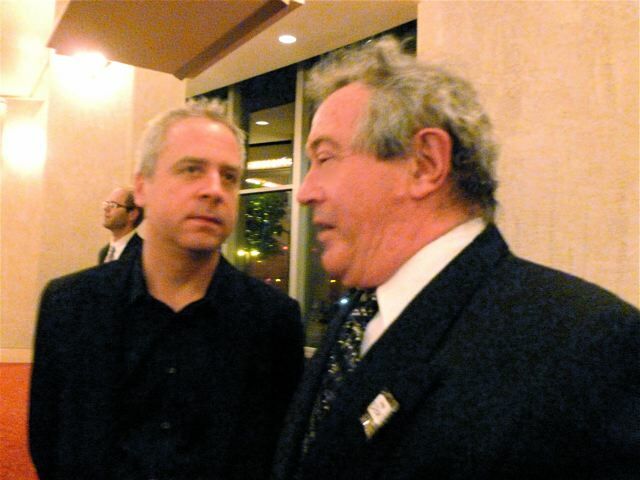 When I told him that I had noticed that he invited the great jazz pianist Uri Caine, he remarked that “he’s a genius”. I, a lover of jazz more than classical music, couldn’t help but agree. It promises to be a great festival next summer if this is also a harbinger of things to come. 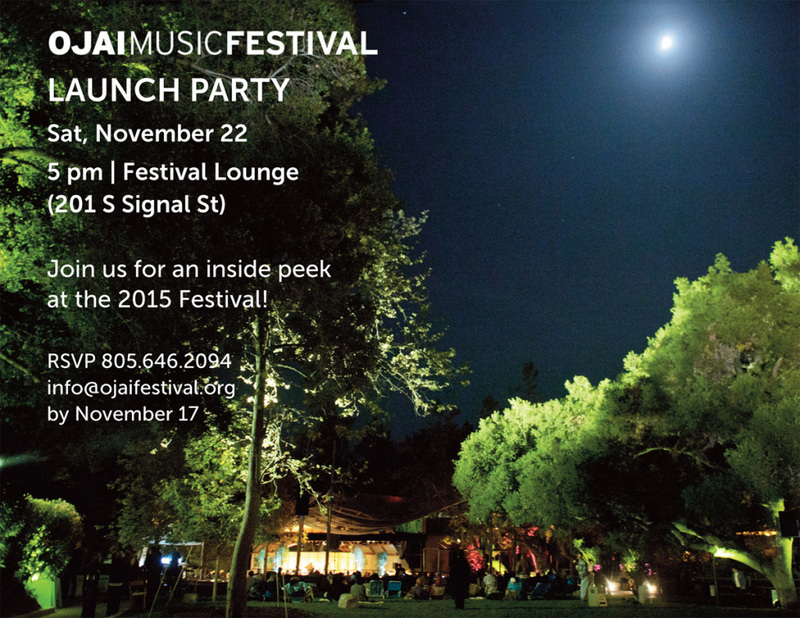 The Ojai Music Festival will welcome back patrons at our annual gathering, which will be scheduled later in the fall. The plans will include a sneak peek of the upcoming 68th Festival (June 12-15, 2014) plus share updates on the BRAVO! education program.